Academic Advisor Amelia Budd and Fisheries Technology professor Joel Markis of the University of Alaska Southeast are discussing what’s coming up this Fall on the Sitka Campus. The fall admissions deadline is August 15th and classes start August 28th. They go in-depth talking about the available courses and programs that students will be able to take advantage of this coming semester. There will be fisheries classes and the Sitka START scholarship program among other opportunities. Scuba diving is offered in the spring. “I know it still feels like summer and everybody’s involved in their summer activities, but we do need to start thinking about what’s coming around the corner and deadlines are looming,” Markis said. 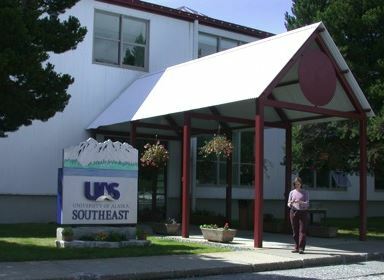 The Fall admission deadline is August 15th and students can apply on the UAS Sitka website. Correction: An earlier version of this story said scuba diving was offered in the fall. It is available only in the spring.